Custom manufactured case made, turned edge binders and elegant presentation products for medical and pharmaceutical applications are being introduced by Advanced Looseleaf Technologies of Dighton, Massachusetts. 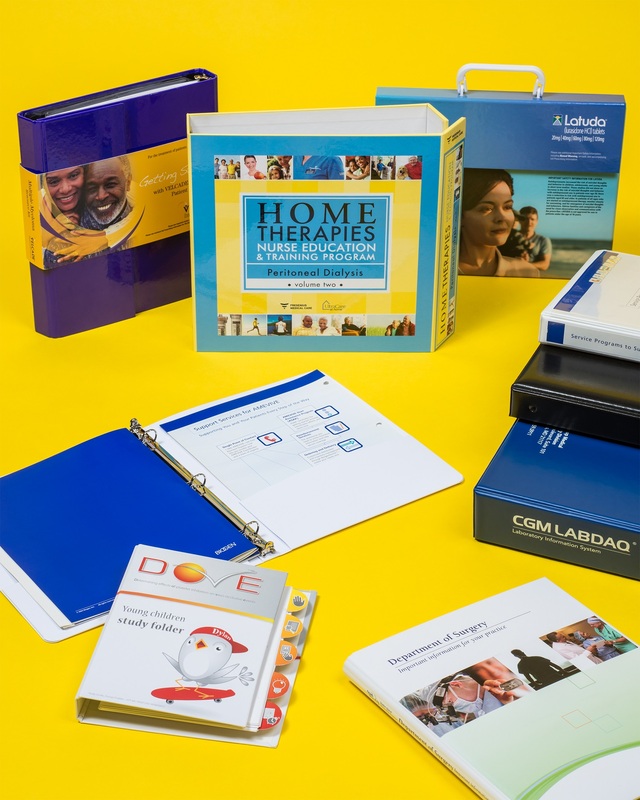 ALT Medical & Pharmaceutical Binders feature leather-like, padded or smooth covers and combine the texture, color and finish to communicate quality and dedication. Elegant, durable and functional these case made, turned edge binders can be debossed, foil imprinted, screen printed, and include die-cut windows, bar pockets with corner guards, medallions, and much more. Suitable for product launches, training materials, patient care directories, employee handbooks and other uses, ALT Medical & Pharmaceutical Binders can be designed for standard or custom paper sizes. They can also be extended to include portfolio cases with cutout foam inserts to cradle products and instruments, and as kits to provide a complete, coordinated presentation. ALT Medical & Pharmaceutical Binders are priced according to construction and quantity. Price quotations and samples are available upon request.